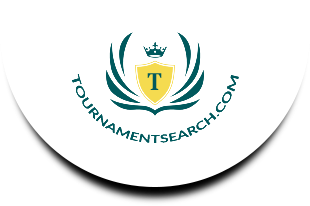 TOURNAMENTSEARCH.COM is the premier nationwide source to search and post tournaments for FREE. Searching is fast, easy and always FREE. When searching for tournaments, you can search by state or customize your search to a particular portion of a state, search by age level and even by date range. TOURNAMENTSEARCH.COM is the Nation's best designed, most user friendly site of it's kind. It was designed by Coaches and Tournament Directors to provide a better experience than any other source. Our website offers 12 different sporting events to choose from, so whatever your sport is, post your tournament on TOURNAMENTSEARCH.COM for FREE. Post your tournament(s) for FREE or make it a featured tournament in your state for a nominal fee or feature Nationally for slightly more. “Featured Tournaments” appear at the top of the page for all visitors from your state(s) to see. Be sure to check out some of our sponsors while visitng our site. It is because of their support we can offer a FREE source to SEARCH and POST Tournaments. Copyright © 2017 SportsPage LLC - All Rights Reserved.